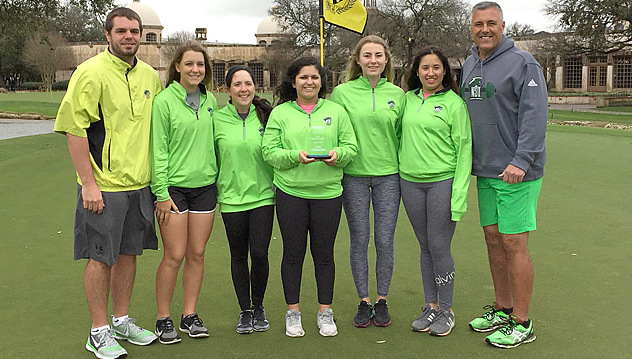 SAN ANTONIO, Texas – Overnight rain caused the cancellation of Tuesday’s final round of the Lady Rattler Invitational in San Antonio to allow Northeastern State to win their first team title of the season. The RiverHawks shared the overall championship with St. Mary’s who also shot a 299 on Monday; St. Edward’s was the third place team, finishing five shots back. Ebba Moberg, Halie Wright, and Ana Contreras all finished tied for sixth with matching 74s. Baylee Price was tied for 18th overall with a 77, and Lexi Armon finished two shots back tied for 37th place. Statistically, NSU led the field with 60 pars, and was tied for third with eight birdies; in stroke-average, NSU was ranked second overall in par-3, 4, and 5s. Moberg fielded the team’s high in pars with 14, which was their most individually in the field. Paige Weiss of StMU won the individual title with a 70, beating Ueakarn Look Yee Songprasert of West Texas A&M by one shot. 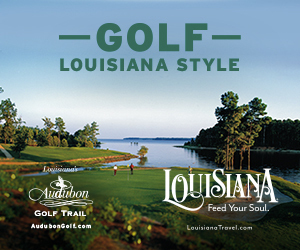 The NSU women’s golf team will be off until Mar. 6-7 where they will travel to Edmond for a tournament hosted by Southern Nazarene.